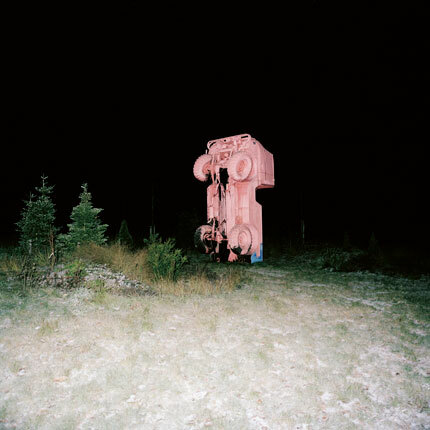 Sraunus is a travelling photography show that originated in Lithuania in 2010. It has been exhibited in seven cities around the world, and will hold its UK première at Diffusion Festival. Sraunus is an evolving slideshow exhibition, with each installment showing a different selection of over forty young photographic artists. The curated images reflect an emergent trend in post-digital photography: they do not rely on an indexical relationship to reality, nor deal with universal truths. Instead, the photographers follow an experimental path, and come close to a questioning of our visual values. Through a projection and event-led format, Sraunus also invites critical discussion of the changing materiality of the medium and the place of the digital image in the gallery. Sraunus in Cardiff is a collaborative project between curator, Paul Paper and writer, Rowan Lear. For the first time, the photographic work will be shown alongside an installation of writing, which will respond, reflect and unravel the images and ideas contained in Sraunus. Photographers: Thomas Albdorf, Aurélien Arbet, Flemming Ove Bech, Alexander Binder, Lucas Blalock, Billy Buck, Maryanne Casasanta, Bridget Collins, Grant Cornett, Elspeth Diederix, Bobby Doherty, Bryan Dooley, Jessica Eaton, Jérémie Egry, Thobias Fäldt, Philip Gaißer, Nicholas Gottlund, Freddy Griffiths, Paul Herbst, Go Itami, Klara Källström, Jennilee Marigomen, Max Marshall, Sylvain-Emmanuel P, Paul Paper, Facundo Pires, Nicolas Poillot, Nerijus Rimkus, Johan Rosenmunthe, Jaap Scheeren, Maurice Scheltens & Liesbeth Abbenes, Adam Schreiber, Brea Souders, Kate Steciw, Ugnė Straigytė, Jessica Williams, Kimm Whiskie, Ann Woo, David Zilber.